Want to work abroad? Don’t forget your Nordic neighbours! Working abroad and getting international working experience – hands up who hasn’t dreamed about it and decided to make the dream come true one day? But who of you have thought the neighbouring Nordic countries as an option? No, we choose London and Japan – and so did I, before finding my way to Sweden. Today the world is small and there are as many ways to work abroad as there are dreamers. My own experience is not a coherent or systematic one, but life rarely is. Needless to say, being a freelancer journalist (or almost any other freelancer) is challenging and often requires existing contacts, skills and good luck. Many journalists prefer to work as an independent writer, but I like working for, and with, someone. However, I hadn’t been able to live abroad and to be an employee at the same time. During my early years of university studies as I was living in Finland I, for some reason, never realised to stop and think the international working options in neighbour countries. I did know that in Stockholm, for example, there were a few different media where one could use, and improve, Swedish and Finnish language as well as journalism sklls. Maybe I thought that my poor(ish) school Swedish would be too poor to be able to work in Sweden… So I chose Asia – well, that makes lots of sense, doesn’t it? After graduating I lived in London and started a modest career as a freelancer journalist, but it didn’t take a long time to realise that better working conditions would wait for me in Finland. In my homeland I gained more experience as a journalist, and later could become a freelancer journalist again, this time in Japan and South Korea. There my experience and results were slightly better than as a novice a few years earlier. Anyway, apparently it took me some years and a decision to start a new international masters program in Denmark to come across a summertime journalist vacancy at Sveriges Radio’s Finnish channel Sisuradio. As I hadn’t any plans for the following summer, I thought I can always try. Therefore I took a train from Copenhagen to Stockholm and went to see Finnish radio professionals. And got excited right away. Fortunately, also the job interviewers were – well if not excited – at least happy to hire me. And when the summer came, my excitement just kept rising in a new but cosy channel with encouraging and supportive colleagues. When I confessed to a Swedish-Finnish colleague that I had to use a dictionary often because Swedish is sometimes difficult for me, he said he uses the dictionary every day – because Finnish is sometimes difficult for him. I think one of the best things about being a journalist is that I learn every day something new about the world and its people. This summer, I didn’t learn only about the world and Sweden, I also learned Swedish language and culture. At the moment, I am continuing my studies in Copenhagen but will work part-time in Sisuradio’s Malmö office. After the summer, my heart still beats when I’m going to do an interview in Swedish. But it doesn’t beat as fast as three months ago. The interviews don’t always go like “on Strömsö”, like they say in Finnish, but at least I can smile like a Swedish. I know I will succeed and I will fail many times. For those reasons, among others, I want to encourage young (and old) journalists and journalism students to take a train or a ferry to a neighbour country. It is an international experience, which again can bring along many new ones. The author is studying MSc degree in Global studies and International development at Roskilde University, Denmark. 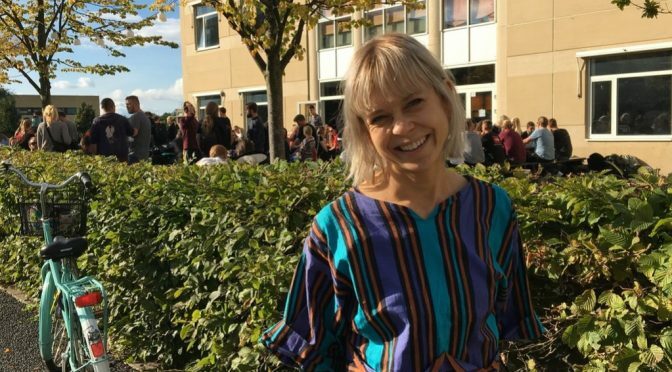 Previously, she has taken BA in Comparative literature and MSc in Journalism at the University of Tampere, Finland. 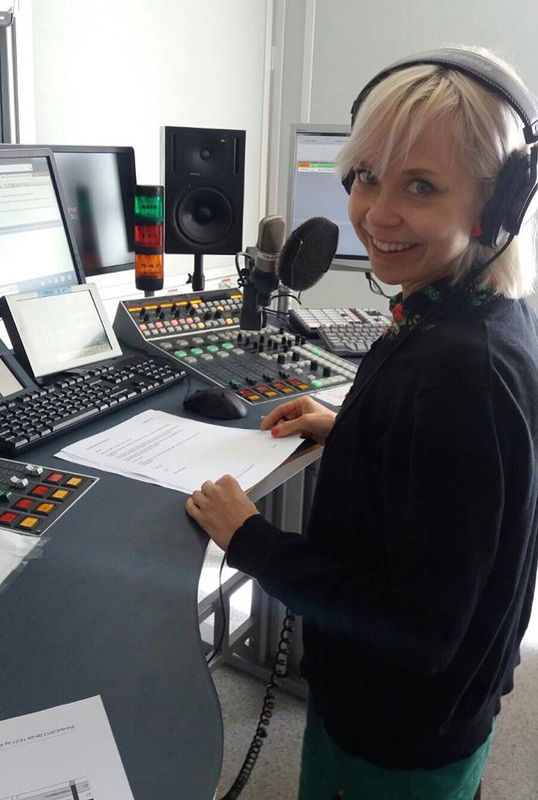 During the summer, she worked as a radio news journalist in Stockholm at the Sveriges Radios Finnish-speaking channel Sisuradio focusing on the affairs related to the Finnish living in Sweden.